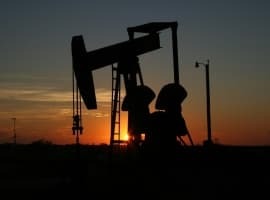 India will soon start looking for investors in the second phase of its strategic petroleum reserve, a senior executive of the company managing the reserve told Reuters. The second phase will cost an estimated US$2 billion, and roadshows will begin in October, the chief executive of India Strategic Petroleum Reserves Ltd, H. P. S. Ahuja said. 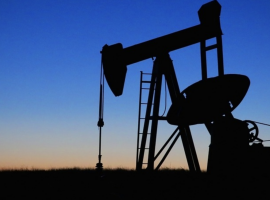 New Delhi approved earlier this year a project for building two additional strategic petroleum reserve facilities with a total capacity of 6.5 million tons, or 47.65 million barrels. The first phase of the expansion, to have a capacity of 18.33 million barrels (2.5 million tons) was commissioned last week, the executive also said. India already has two strategic petroleum reserve facilities with a modest capacity: 20.52 million barrels, or 2.8 million tons. The two additional facilities will bring the total to a little over 68 million barrels. To compare, the United States’ strategic petroleum reserve held, as of June this year, 660 million barrels. India is widely seen as the biggest driver for global oil demand growth due to its expanding middle class, which is pushing fuel consumption higher. Last month, Wood Mac forecast that the country’s demand for crude will rise by 3.5 billion bpd between 2017 and 2035, which will represent a third of global oil demand growth. Yet India is also heavily dependent on imported crude: it gets more than 80 percent of the oil it consumes from abroad. That’s despite efforts to expand domestic production and the share of Indian producers’ output from fields abroad. The oil problem is getting increasingly serious: a falling rupee has already swelled the country’s oil bill considerably, and unless prices fall sharply back to about US$65 a barrel for Brent, the government will find itself in a tight spot as higher prices at the pump have already sparked some protests, and over the longer run, threaten its chances of maintaining its robust economic growth rate.